The most famous exotic weapon in Destiny, the Gjallarhorn, is back in Rise of Iron. This time there is a quest line you must complete to get this powerful rocket launcher. There is also the Iron Gjallarhorn, but this is only a black skin for it. You can only get this if you pre-ordered the expansion. Luckily, it works just like the normal Gjallarhorn. I'm going to go over all the steps you need to complete to unlock the Gjallarhorn, and how to complete them. 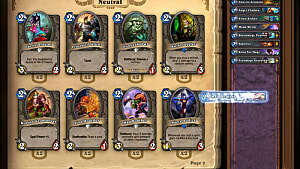 How to Start the Quests - What you need before you can begin your journey. 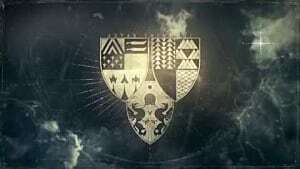 Gjallarhorn Quests - Each quest and what you need to do to complete them. To get the initial quest, simply complete the Rise of Iron story line. 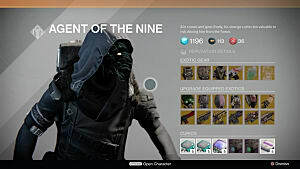 You will be able to pick up a quest from Shiro-4 at the Iron Temple social space. 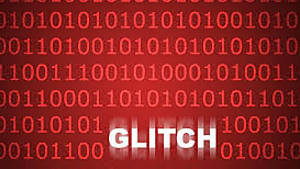 After you pick up the initial quest from Shiro-4, you will need to complete the scan the anomaly patrol mission in the Plaguelands. You can find the anomaly mission in Archon's Keep, which is near where the last story mission is located. To get there, either turn around where you start the patrol, or go forward. Turning around will lead you through Forgotton Pass, and going forward will lead you through Giant's Husk. Both of these lead to Archon's Keep. Once you pick up the mission, follow the marker's as it leads you through the Archon Forge and finally, to Site 6. You will need a Splicer Key to get there, which you can get as a consumable drop from Hive Broodmothers. They are located in most zones and look like Wizards. Eventually you will reach the anomaly location, which is guarded by a Spliced Walker. Behind the walker is the scan location, do not jump down the hole. 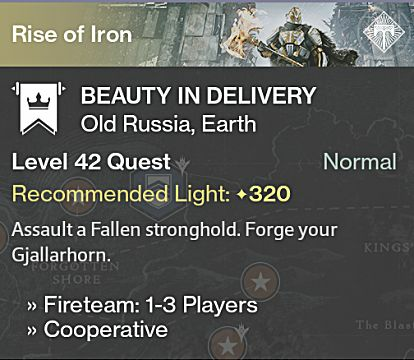 When you do this, you will complete this part of he quest and can return to the tower for the next part. 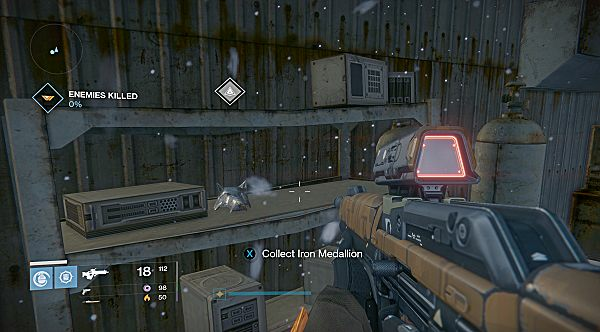 After talking to Saladin in the Iron Temple, you will have to find 7 Iron Medallions on patrol in the Plaguelands. They will show up as items to pick up when you are nearby and you can also zoom in on a sniper to make them come up easier. Lord's Watch - This is the area you start patrol in. You can find it in a nearby room from where you spawn. Giant's Husk - This is the first area you reach if you go forward after landing on patrol in the Plaguelands. When you enter the area, climb up the right side and you will find it at the top near a bunch of crates. Archon's Keep - This is the area after Giant's Husk. Go until you see where you can enter the forge and the path to Forgotten Pass. it will be on the ground near rubble. Forgotten Pass - This is the area after Archon's Keep, opposite direction from the Archon's Forge. This is at the end, or beginning if you come from the other side, of the bridge. Bunker - When you enter the Bunker area, head left and it will be in a room after killing some Fallen. Site 6 - This is an area deep underground. You can get here starting from Archon's Keep. 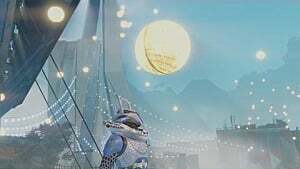 Go through Archon's Keep and inside until reach the Archon Forge. From here, keep going until you see a path underground. You will reach the Warrens eventually, continue going until you reach Site 6. After you leave the narrow path, it will be on the left after fighting Fallen. Felwinter's Peak - This is in the Iron temple social space. Jump up the rocks to the left of where you spawn in to find it. Once you collect all 7, you can go back to the Temple and talk to Tyra Karn. 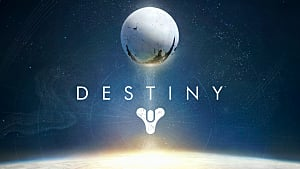 She will give you a new mission called, "A Symbol of Honor", that takes place at Bannerfall on Earth. 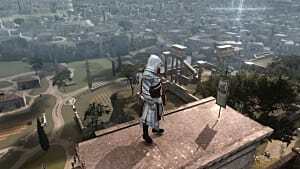 You will have to scan areas, defuse bombs, and kill a boss at the end. This mission can be challenging, especially if you do it solo. After you complete the mission, head to the temple to talk to Tyra for the next step. When you talk to Tyra, she will want you to collect 5 Dormant SIVA across the Plaguelands. These are like the calcified fragments from the Taken King, and you can find them in specific locations in the Plaguelands. Once you find 5 Dormant SIVA clusters, you will get a final mission after returning to the temple. In the Beauty in Delivery mission, you have to fight your way through until you reach a room where your ghost will stop. While it reconstructs the Gjallarhorn, you have to fight waves of enemies. They come from all directions and captains periodically spawn with Scorch Cannons. 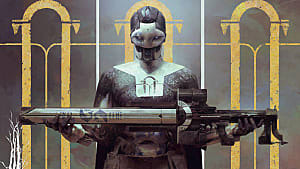 Once your Ghost is finished, you can pick up the Gjallarhorn, make sure you have space in your Heavy weapon inventory. Now you can go and destroy all the fallen walkers. There are heavy ammo boxes all around the field that respawn after a short time, so you can keep firing rockets. After destroying the last walker, the mission is over and you can turn it in to Saladin at the temple. If you pre-ordered, you got the Iron Gjallarhorn from the postmaster. 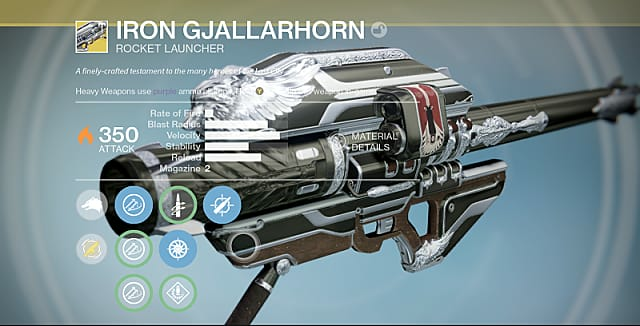 After you get the normal Gjallarhorn, you can infuse the Iron version with the normal version. they work exactly the same, they are just different colors. That's it for how to get the Gjallarhorn and Iron Gjallarhorn in Destiny: Rise of Iron. Let me know if you have any questions! 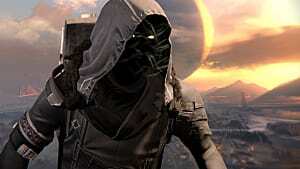 The Vault of Glass Returns in Destiny's Final Event!